Desperate to prevent an abusive arranged marriage, Princess Araya flees to a neighboring kingdom, only to land at the mercy of the impulsive Crown Prince Thoredmund, who provides refuge in a secluded forest and teaches her survival skills. Her surprise at the unexpected hold the prince has on her heart mirrors his shock at falling for the one girl he canât have. As the young coupleâs feelings for each other grow, the fragile alliance between the two kingdoms threatens to break apart. With a vengeful duke and an enraged king fast on their trail, Thor and Araya must decide how much theyâre willing to risk for love. Sway â Companion song to Under the Trees! The dark horse tore through the underbrush, bringing her close enough I could make out a pale face and a tangle of long hair. A black cloak billowed behind her. Men on horseback gave chase, darting through the trees, clearly in pursuit. All those men after one girl? Who could she be? My instincts screamed against them catching her. She could be a decoy, and they could all be spiesâbut what if she was in real danger? âLet her pass,â I ordered, staring my men down until they stepped aside. The girl raced past, glancing over her shoulder for a brief momentâher eyes flashing emerald in the light of the fireâbefore looking ahead and leaning low on her horseâs neck. 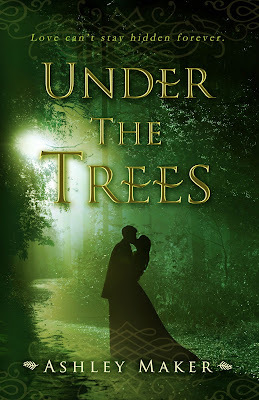 Under the Trees is Ashley Makerâs debut novel. When sheâs not working on her next book, Ashley spends much of her time procrastinating on social media, relaxing with her husband and two daughters, and writing companion songs on her acoustic guitar. 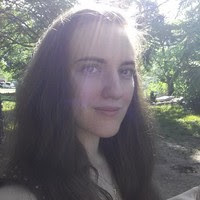 She has a bachelorâs degree in English, worked a short stint as a book editor, and lives in a small town in Oklahoma.